Learning outside is magic. Do you remember when your teacher would look out the classroom window and then say ” Get your things we are going outside!” BEST DAY EVER! That is why I love getting my kids outside to learn. One of the big struggles at our house is finding time to do these activities with my son who is in public school for most of the day. The way we do it is to pack a lot of learning into short but valuable activities. 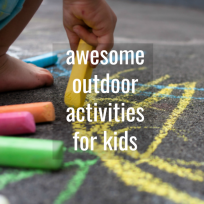 Help your kids boost their interest and skills in math and science by having fun outside! Playful Learning Ecademy who is sponsoring this post has a wonderful eCourse called Backyard Science that we have been having fun with. 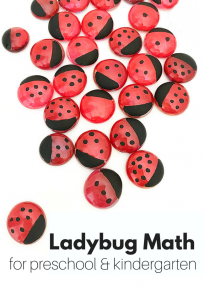 I thought I would bring together some of our favorite outdoor math & science activities in one spot for an easy resource. Check out some of our very favorites below. When we do scavenger hunts of any sort I need them to be adaptable for both my kids. When my son is doing a less active activity my daughter is less apt to want to be a part of it but once he’s running around searching for something she can’t wait to get in mix. 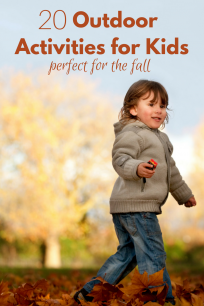 Because of that this activity is easily adaptable to a wide range of levels. You will need some fun felt leaves , a sharpie and a backyard or park where your kids can pick things. Add numbers to the leaves. Even though this is for a 3 and 6 year old I still kept the numbers small. For the 3 year old her task was to recognize the number and find that number of things in the garden. 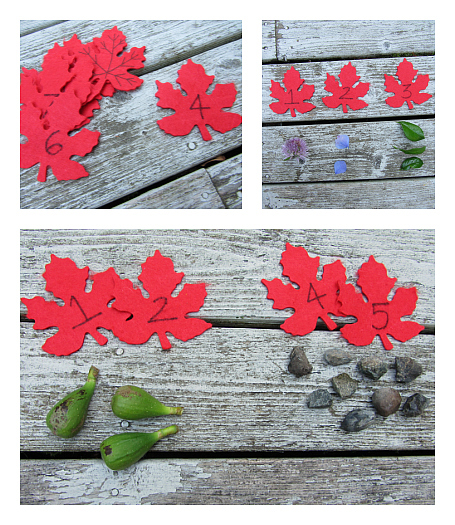 For the 6 year old I put two leaves together and his task would be to do mental math ( why I kept the numbers small) and add the numbers together then represent the sum with natural items found in the yard. Fresh air + numbers + exploring the yard = serious fun and learning! When I think of Backyard Science I think of going outside to turn over rocks or doing giant vinegar and baking soda volcanoes. There is so much more for kids to explore though from colors, sounds, habitats and yes messy gooey science too. 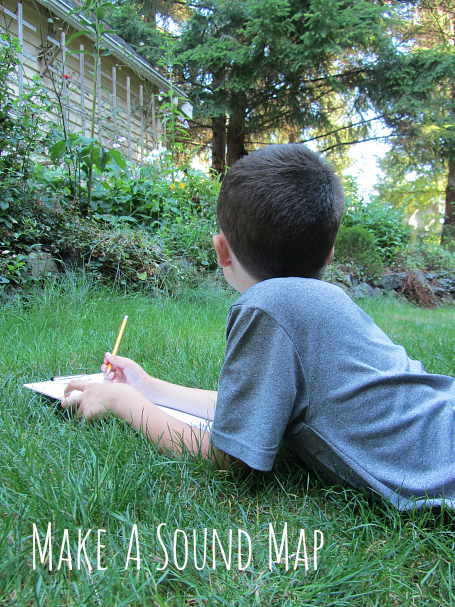 In the Playful Learning Ecademy course kids become naturalists and use their own backyard as their lab. What I love most about these activities are the videos that support them. The activities are short but valuable and the planning is done for you. It’s a perfect combination for mindful but busy families. After school one day my son chose to do the Sound Map from Backyard Science. We grabbed some paper, a clip board and a pencil. He plopped down in a good spot in our back yard and put an x on the paper to represent himself. Then he listened. He made marks and wrote what he heard in different places in relation to where he was sitting. I was so fascinated by how still he was. He is 6 and wiggles constantly as most do but to see him still and focused was thrilling. We talked about what he recorded and went to see if we could find any of the sources of the sounds, well the natural ones. We knew where the lawnmower sound was coming from. This ended up opening up a dialog about conservation since we could hear more man made sounds than nature ones and we live in a semi rural area. 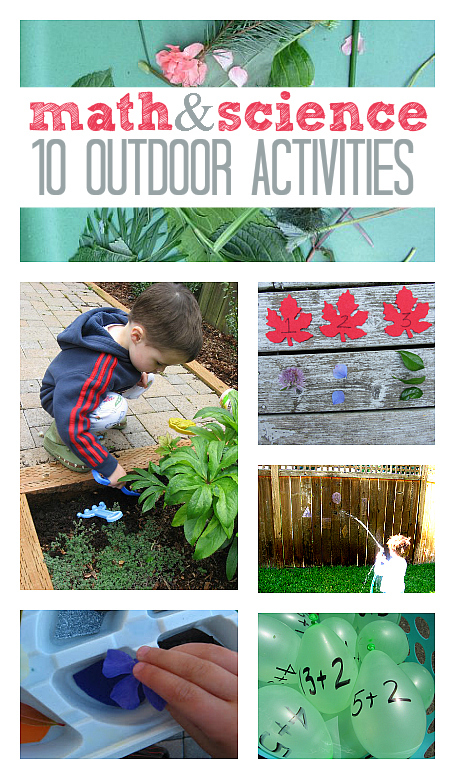 What math or science activity do you do with your kids outside? Share your favorites in comments! This post was sponsored by Playful Learning Ecademy – I love working with them because their eLessons are rad and my son loves doing them. I love your sound map activity. I have a hard time keeping my 5 year old still, but maybe this activity will do the trick. 🙂 I also need to check my dollar store for those cute felt leaves. They are so versatile! I am a trainee teacher and have just discovered your website, I love the sound map activity, a lovely lesson idea for my next placement, thanks! Can I just ask, what sort of ‘marks’ did he make on the page to describe what he could hear? He used words but kids could also draw. Thank you for sharing these wonderful ideas!